Experience an exclusive overnight catching camp at Rocker B Ranch with elite professional, Todd Coburn, and other professional and ex-professional catchers. 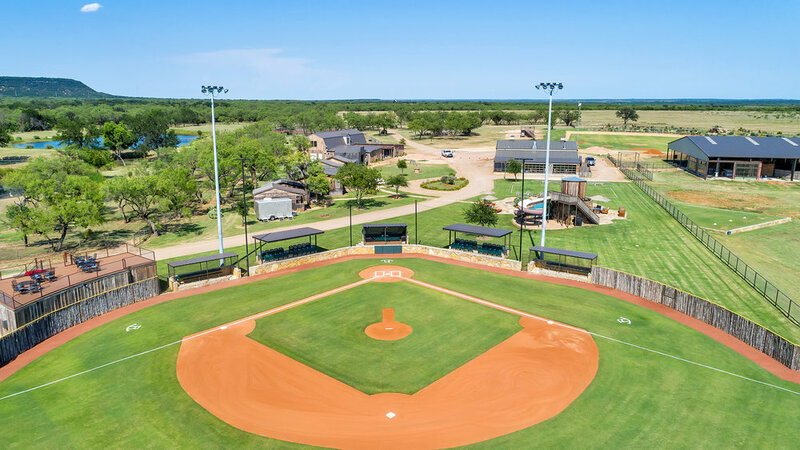 Located one hour west of Fort Worth, Texas, Rocker B Ranch is a premier baseball venue with state-of-the-art practice and retreat facilities. In addition to two lighted baseball fields, indoor turfed arena, batting cage, bullpens and workout facility, our 320-acre venue offers on-site lodging accommodations, exquisite dining and endless ranch activities. Todd Coburn, A.K.A - “The Catching Guy” started conducting catcher only events in Northern Nevada back in 2006. Now, 12 years later he conducts events around the country. Coach Todd is one of the most sought after catching coaches in the world who is known for not only his passion for the position, but also his passion for teaching the position. He is a lifetime catcher who loves spreading the knowledge to anyone who wants to listen and learn. Eight nutritionally-balanced meals designed for athletes of all ages. Each catcher MUST have their own complete set of catcher’s gear, including a protective cup. Rocker B Ranch will provide all bedding and shower toiletries. Dinner (Dining Hall) – Parents Invited!